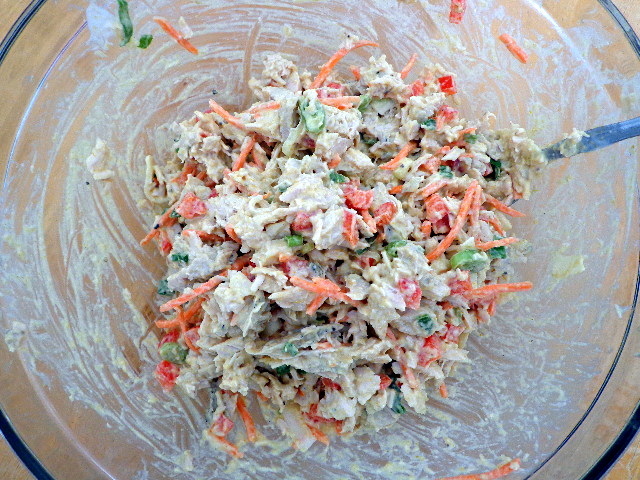 This fun play on chicken salad goes great inside sandwiches or on top of green salads. It comes together very quickly but feels a bit fancy. See below for recipe notes/substitutions. In a large bowl, whisk together mayonnaise, ginger, curry paste, and fish sauce. Add remaining ingredients to bowl and toss until well-combined.